Facebook is blocking sites that provide instructions for creating 3D printed guns and deleting content related to the creation of such weapons. The company's decision comes as several states attempt to prevent such guidelines from being published online. Cody Wilson, a self-described "radical individualist," has waged an ongoing battle against the federal government for the right to publish his open-source code for 3D printing firearms. Wilson reached a settlement in June that would have allowed his company, Defense Distributed, to do just that. But the night before his site was to go live, a federal judge blocked the settlement and banned Defense Distributed from publishing the blueprints. 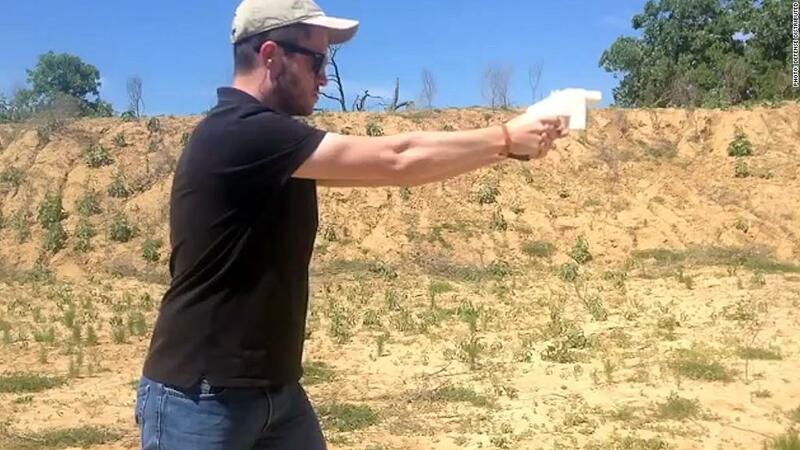 Related: Who is Cody Wilson, the man behind the 3D printed gun? Still, the information remains available elsewhere online. On Thursday, Facebook (FB) announced it was removing all such content. "Sharing instructions on how to manufacture firearms using 3D printers or CNC milling machines is not allowed under our Community Standards," a company spokesperson said in a statement. "In line with our policies, we are removing this content from Facebook." The move prevents other sites that post the blueprints from being shared and accessed via its platform. While some sites have already been banned, Facebook is still working on applying its policy to others. The restriction on instructions for 3D-printed guns is in keeping with Facebook's firearms policy, which bars the sale or exchange of firearms except by licensed dealers.